ATLUS has just revealed an awesome collection for a great deal! 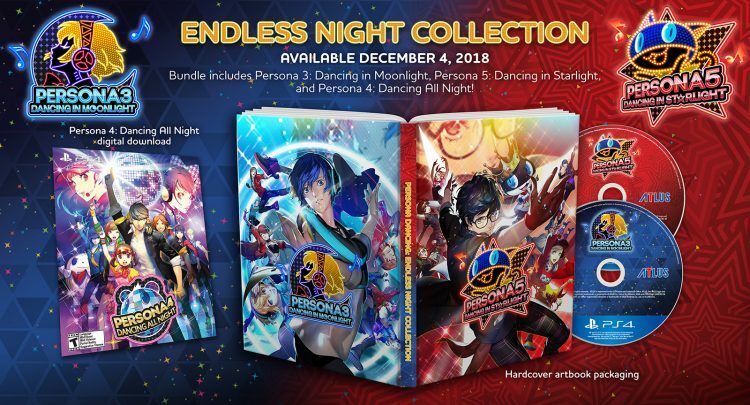 The Persona Dancing: Endless Night Collection will include the new Persona 3: Dancing in Moonlight and Persona 5: Dancing in Starlight as physical discs, as well as a digital code for the 2015 game Persona 4: Dancing All Night which originally released to Vita and had a Japanese PS4 release earlier this year. This will collect the complete catalog of Persona Dancing games in a exclusive art book package. The collection will be available for the PlayStation Vita and PlayStation 4, priced at $69.99 and $99.99 respectively and will release December 4, 2018. The Persona Dancing: Endless Night Collection will also be available digitally on both PS4 and PS Vita. 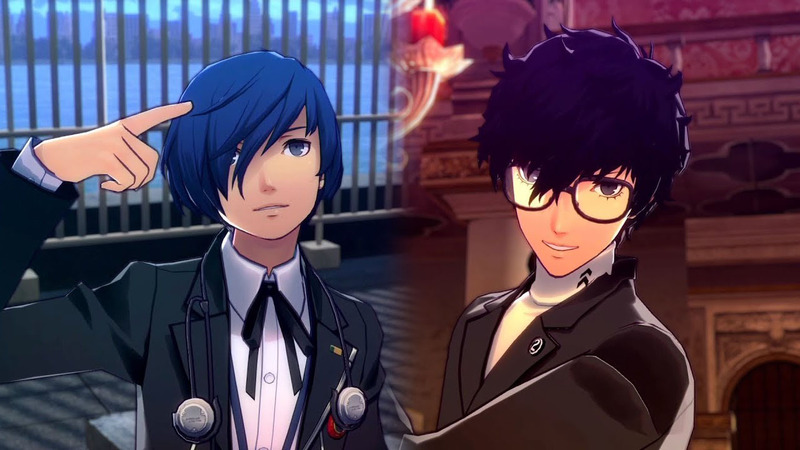 Persona 3: Dancing in Moonlight and Persona 5: Dancing in Starlight will also be available individually for Vita ($39.99 each) and PlayStation 4 ($59.99 each). Due to a pricing error, Amazon has pulled links. When they’re back up, we’ll be sure to update the article! Atlus (and SEGA) are busy this month, since they are putting up multiple streams in Japan. They just finished their ‘Persona 5 the animation new information broadcast‘ live stream, where they announced that they would be having another upcoming stream for the upcoming Persona 3: Dancing Moon Night and Persona 5: Dancing Star Night on December 24 at 20:00 JST. If you didn’t know, both Persona 3: Dancing Moon Night and Persona 5: Dancing Star Night are coming to PlayStation 4 and PlayStation Vita this upcoming spring 2018 in Japan. Yes, Atlus still loves their PlayStation Vita. We will know more information regarding these titles after the stream. As far as Western release, don’t be shocked seeing them released here.